5 nights minimum stay standard (7 nights minimum booking during the peak holiday seasons and school holidays). Shorter bookings may be available, please enquire for details. Prices are set at low, medium and high season. 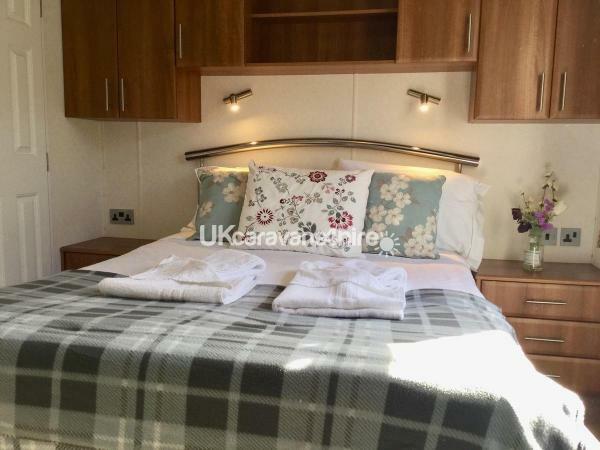 Reservation is secured with payment of a £75 booking deposit which is non-refundable, although it may be exchanged to another week in certain circumstances. A refundable deposit of £50 against damage is also requested upon payment of the balance, returned in full or part within two weeks, usually days, after end of the holiday subject to any losses or damages. 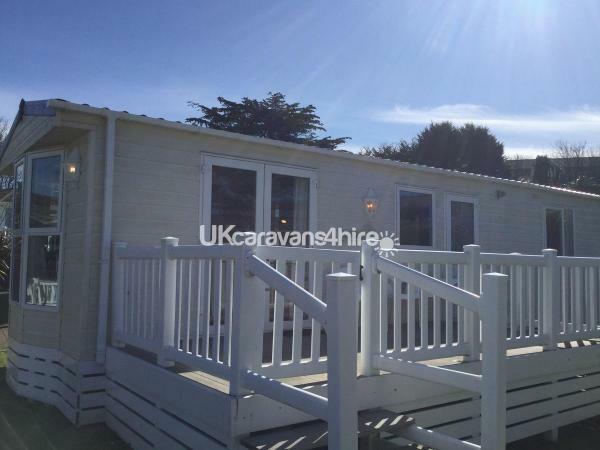 Four berth caravan situated on the prestigious and beautifully landscaped Praa Sands Holiday Park. This comfortable accommodation will provide everything you need for a relaxing break. 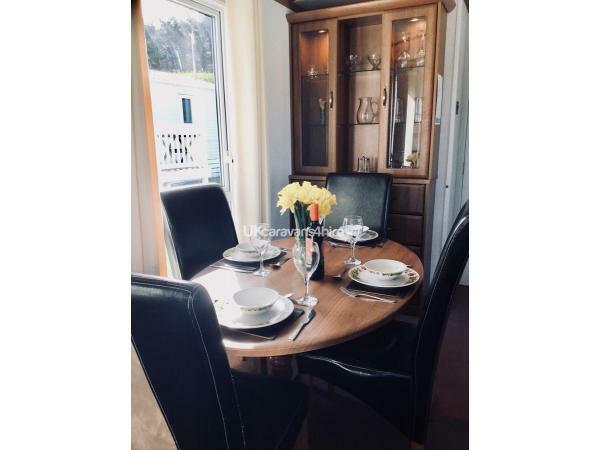 Comprising one double and one twin bedroom, it provides a home from home for your Cornish holiday experience. 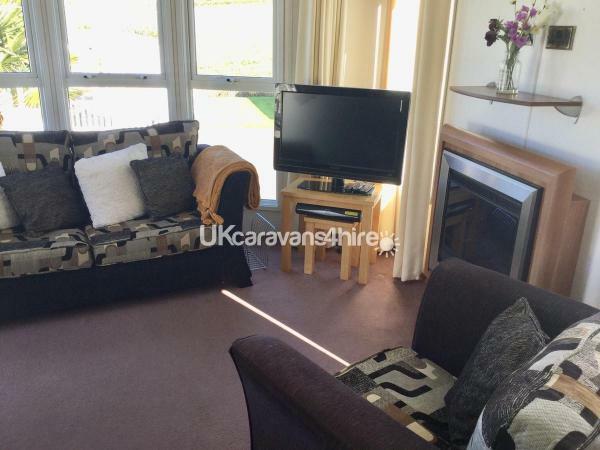 The living room includes flat screen television, additional sofa bed and gas fire. 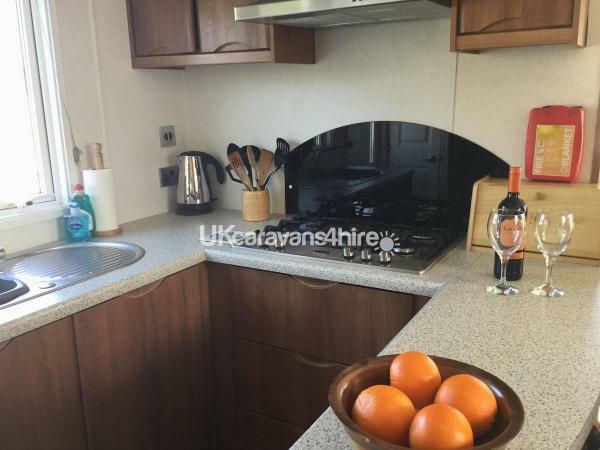 The kitchen includes full size fridge/freezer, 5 ring gas hob, separate cooker, microwave and all utensils needed, as well as a dining area. The accommodation has full central heating. 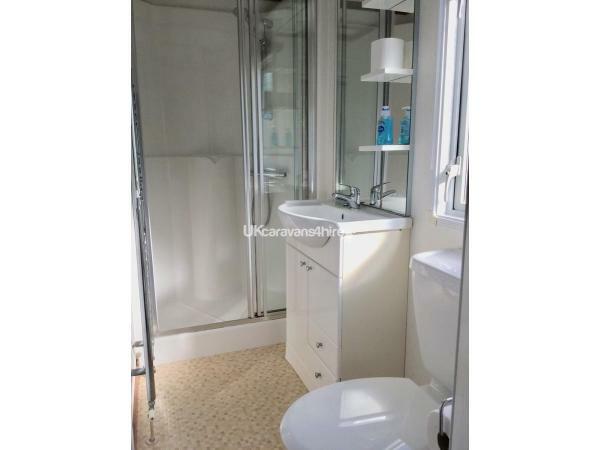 The bathroom comprises shower, toilet and basin, with the added bonus of access either via main bedroom or the corridor. The main bedroom is spacious with the added bonus of a walk in wardrobe. The twin bedroom is again spacious with a layout to maximise space. The front veranda allows for al-fresco dining, should the weather allow. The site itself includes a bar and restaurant serving food and drink, as well as an indoor swimming pool, steam room jacuzzi and gym. Passes are included as part of the rental. A launderette is also available. For those of you who play golf there is an adjacent nine hole golf course with fantastic views. 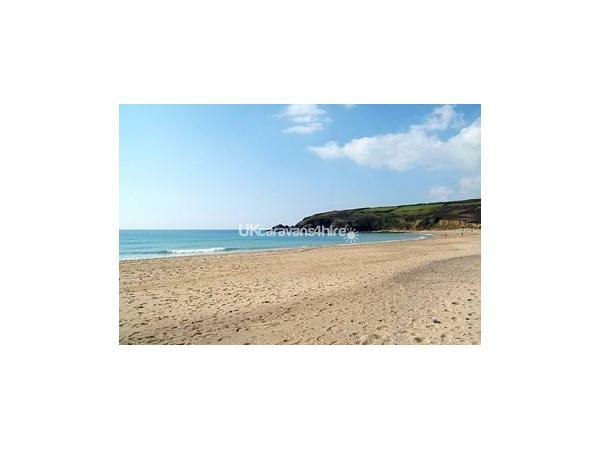 Praa Sands beach, less than 10 minutes walk away, offers over a mile of stunning sandy beaches and is life-guarded during the main season. 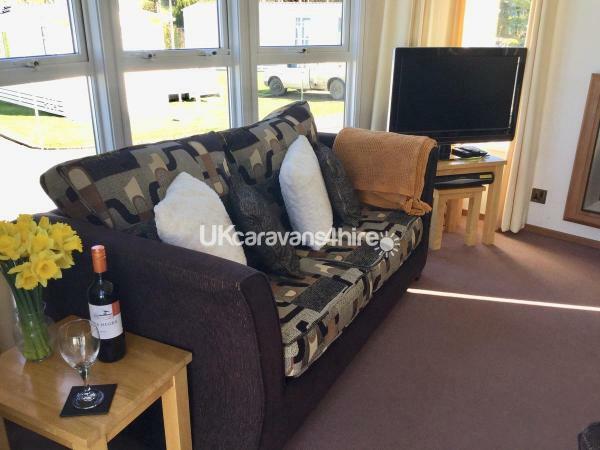 Renouned south facing surfing beach, surf and kayak hire is available from the beach, which additionally offers a small selection of licenced cafes/bars. There is a small shop within the village for essentials. The South West Coast Path runs through Praa Sands, making this an ideal base for cliff walks. Praa Sands is well suited for exploring west and mid Cornwall, with St Michael's Mount, the Lizard, St Ives and Penzance within easy reach. There are ample attractions nearly to entertain children including Flambards Theme Park in Helston. Car parking is available next to the holiday home. Linen is provided. Towels are available to hire at £4.00 pppw. Dogs are permitted for which there will be an additional charge. Booked a short stay to spend a few days with my family who live nearby. Welcoming tea tray on arrival with delicious Cornish ginger biscuits and bonio for the dog. Lovely and clean with everything I needed and a comfortable bed. The customer service was excellent. Such a fantastic place. Loved every minute of it. It felt so homely and peaceful. Definitely would stay again ???? 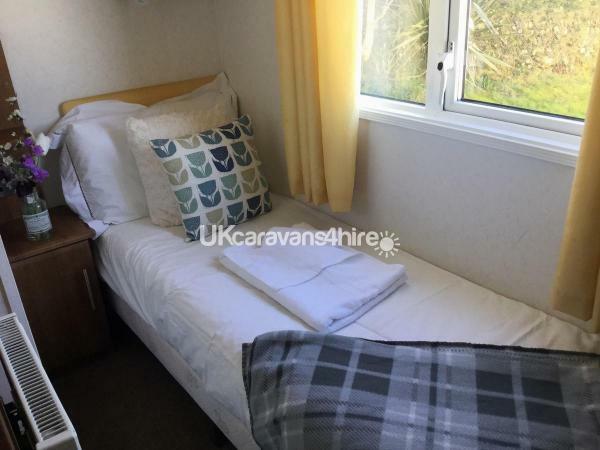 Booked this caravan for my daughter and her partner whilst they were visiting Cornwall. Booking was very easy and customer service was excellent. 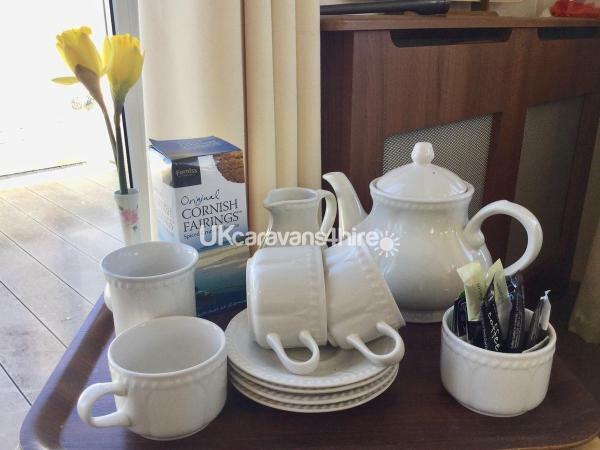 On arriving at caravan it was very nicely presented throughout, with Cornish biscuits, tea, coffee, milk etc already waiting. It was very well equipped with everything you would need for your stay, including ironing board, iron, and even a hairdryer. I was concerned that the caravan might be cold being January, but it was more than warm enough for the whole week. It was very clean and tidy. Will definitely book again. Amazing value for money. 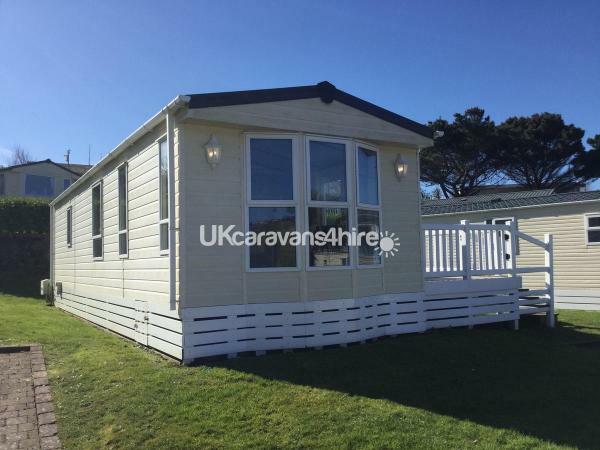 Fantastic caravan and great value for money. Very clean and tidy. Park is really near to the beach and is also clean and tidy with golf (if you play). 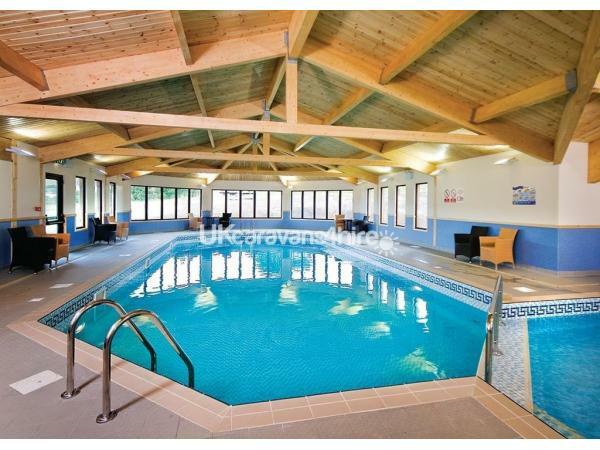 Nice indoor pool as well. Park is near the south west coast path so good for walking with our dog. Tea tray with Cornish milk and biscuits very welcome after a 6 hour drive. Will definitely return. Thank you very much for your review. We look forward to welcoming you again.